This collection is the ideal solution for planning wedding music when you don't have the players for a full string trio or quartet. 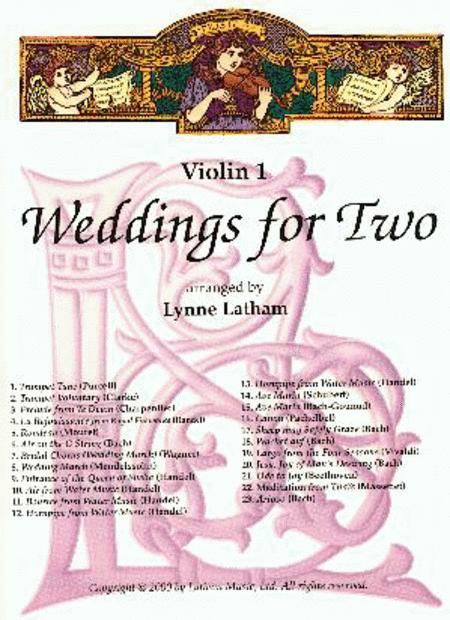 For Violin I and another player, these beautiful duets make the most of the various string pairings. Solid Violin part to pair with cello for playing in public. Intermediate violin that works for this 60 something amateur player. too--because even wedding musicians do not live by Pachelbel/Wagner/Water Music alone! 24 of 44 people found this review helpful. June 27, 2009 No piano needed! FORGET: THIS IS ONLY THE VIOLIN 1 PART! 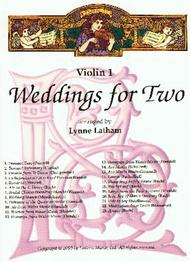 YOU MUST ORDER VIOLIN 2 IF YOU WANT DUETS. Skip the piano and get this collection! 32 of 66 people found this review helpful. Nice arrangements. Duo violin & cello is very interesting and sounds wonderful. Nice combination and nice harmony. 34 of 63 people found this review helpful.